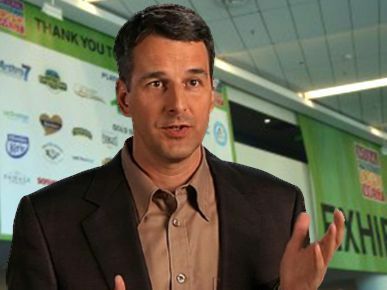 Greg shares his unique perspective as a best-selling author and successful business builder as a keynote speaker and guest lecturer at forward-thinking events, businesses, and educational institutions across the United States. His topics range from personal health strategies to building sustainable business to the role of enterprise in our economy to environmental stewardship. His talks are engaging, thought-provoking, and customized to be relevant to the audience. Nutrition Science Roadmap™ The science of nutrition has come a long way since 1912 when vitamin A was discovered and the term “vitamin” was coined. However, the process for tracking the science and mining that science for insights to guide this relatively young field of study has been uneven and, in some cases, has produced conflicting results. Longtime nutrition industry leader Greg Horn is working to tackle this problem, and shares the findings to date from his Nutrition Science Roadmap™ products, which was presented as a keynote at the 2016 NBJ Summit gathering of nutrition industry CEOs. Our society is at a tipping point on issues of personal health and environmental sustainability. Almost all at once, we are realizing that we are using up irreplaceable resources at an alarming rate and poisoning our health and the environment. It just can’t go on, and now we know it. People by the millions are concerned – even alarmed. They already understand the connection between their lifestyle and their health. Now that understanding is growing to include the link between lifestyle and the environment. Aware and concerned people want to do something positive to make a difference. They want to protect their health. They want a safe and healthy home environment for themselves and their families. They want to live more lightly on the planet. They want to Live Green. 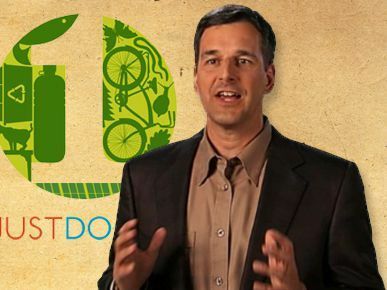 Greg Horn, author of best-selling Living Green: A Practical Guide to Simple Sustainability shows why this is one of the most important issues of our time and provides practical solutions for changing the world by changing the way you live your life. In this an engaging and inspiring talk, he helps the audience get past the worry and suggests specific, positive and even fun changes that make a difference in both personal health and the sustainability of our environment. The most exciting thing about this stage of the “environmental movement” is that it is finally beginning to intersect with the most successful and self-sustaining economic systems in human history. That’s an incredibly powerful combination because an economic incentive enables explosive growth and the rapid adoption of real change. Done right, all for a profit, which creates economic sustainability at the same time. You can’t turn the page of a newspaper or magazine without finding some reference to green, sustainability, environment meets business. Why now? What key factors are driving this intense new interest? Who is doing it today? Businesses that compete on the basis of resource efficiency and sustainability are transforming large and important markets and changing the way materials are handled, energy is used, and good are transported. From his unique perspective as a CEO, serial entrepreneur, and now partner in private equity firm Pegasus Sustainable Century, Greg Horn makes the compelling case for sustainable business, why the time is now, the potential for real-world transformation of business, and real companies doing it today.